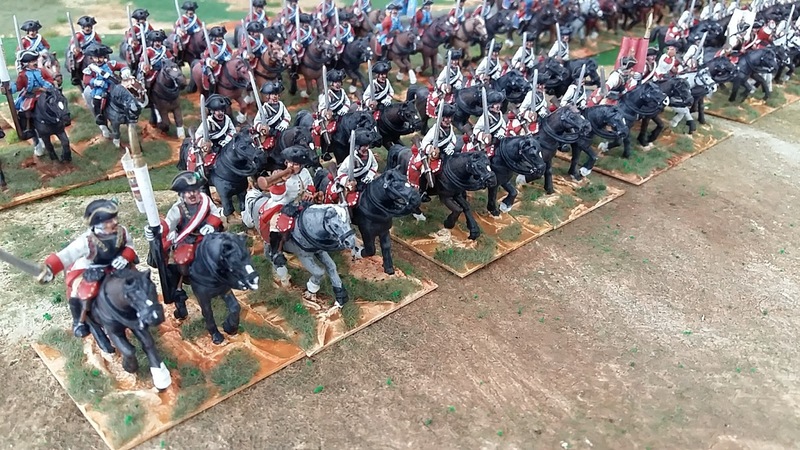 Painting Wargames Figures: "Mille millions de mille milliards de mille sabords!" 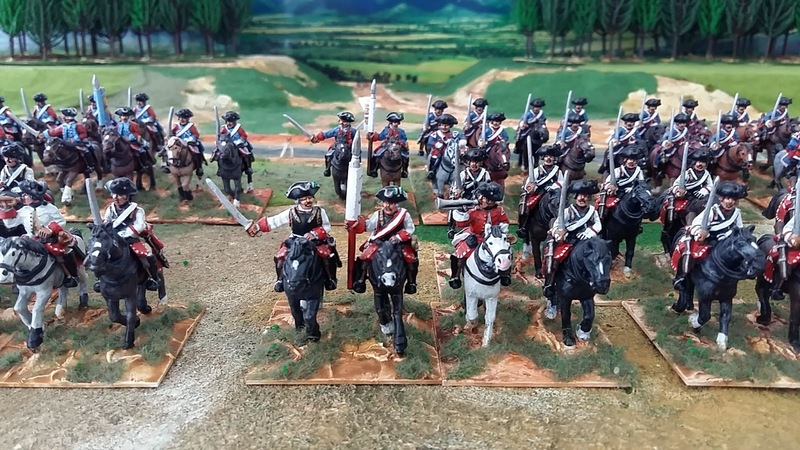 Please excuse the Tintin reference in the title – it’s one of Captain Haddock’s delicious expressions. 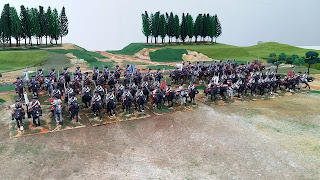 But I think it’s apt as we photograph here 20 squadrons of 28mm Austrian SYW cavalry charging across the plain and ready to crush anything in their path. 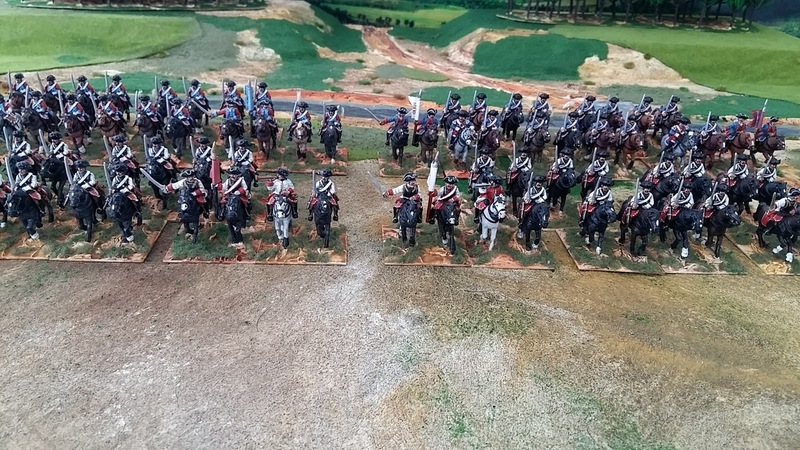 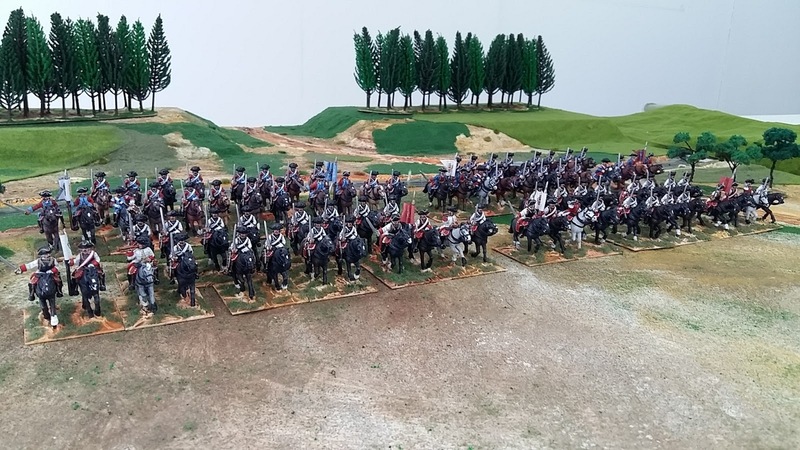 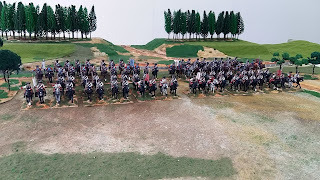 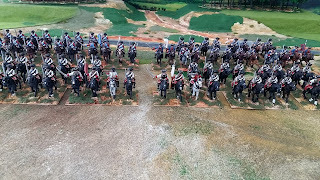 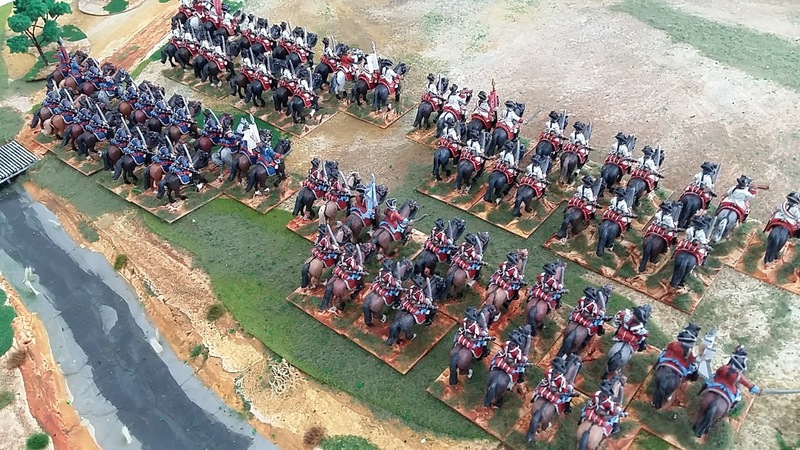 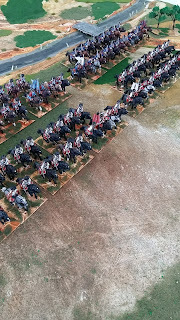 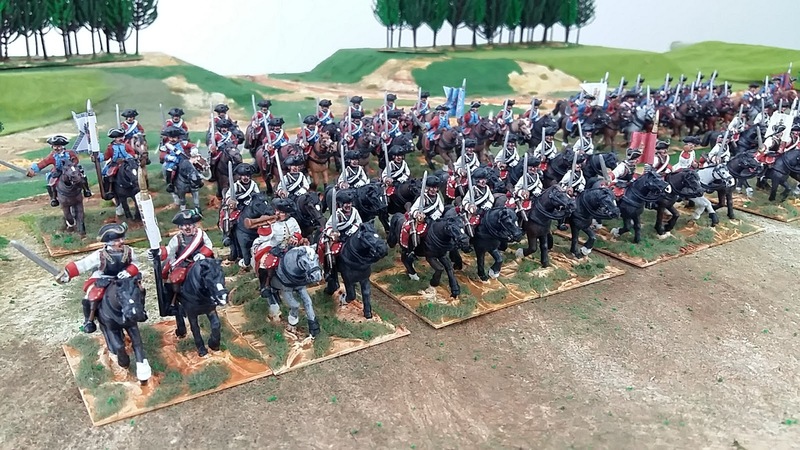 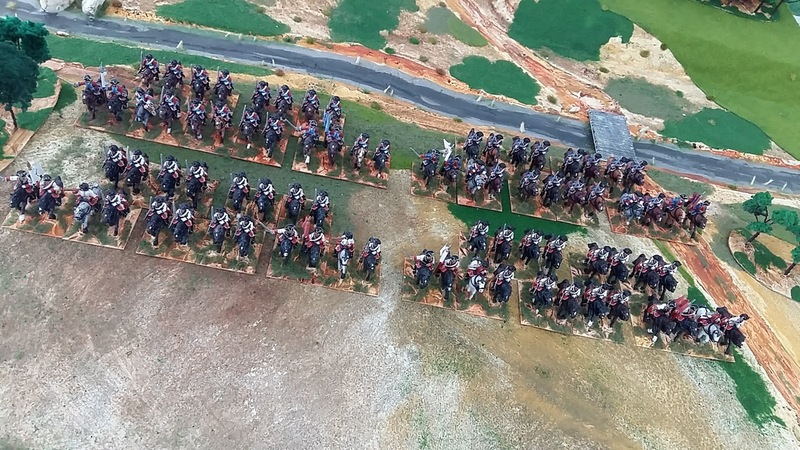 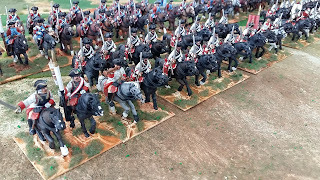 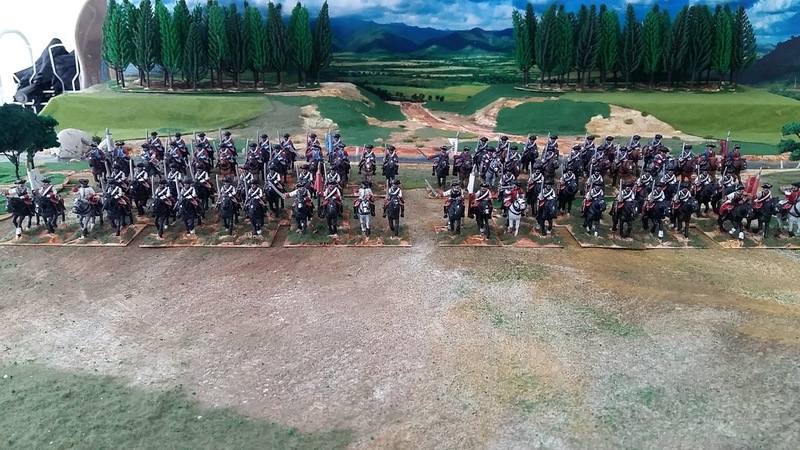 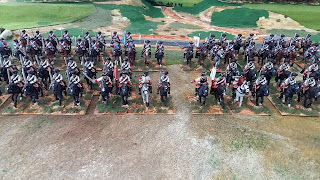 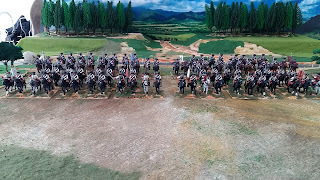 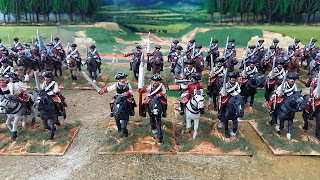 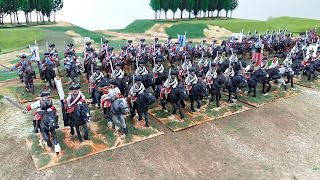 Twenty squadrons of horse in 28mm is quite the sight! Wow!! I am speechless - wonderfully painted, good background - it could´t be better! 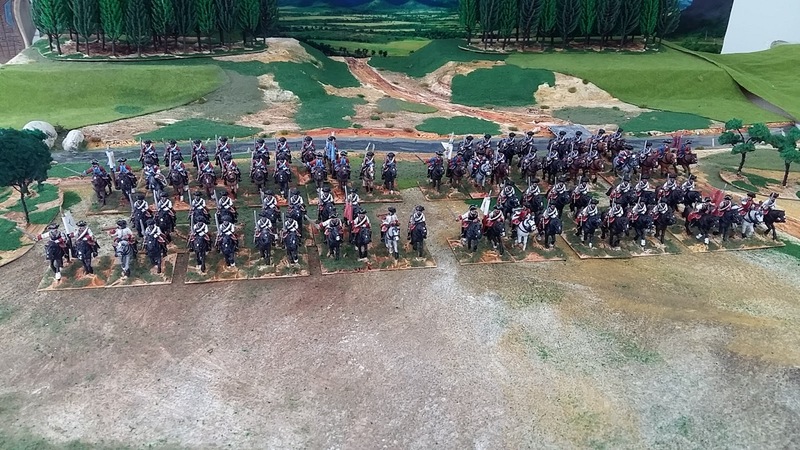 Looks very good indeed! 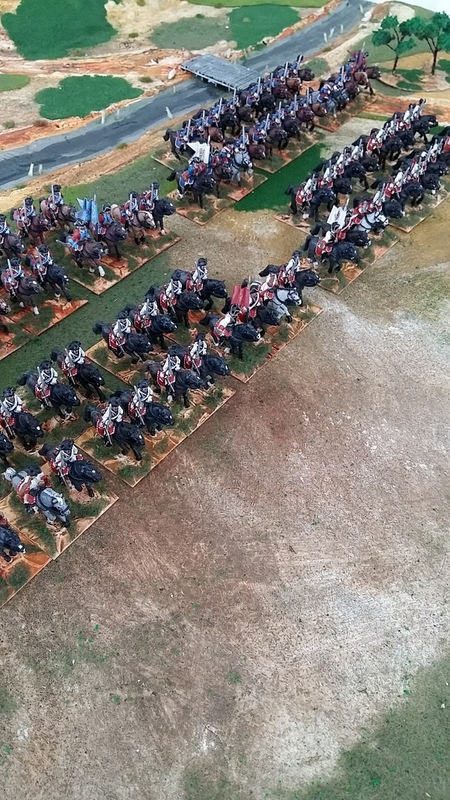 Nice terraining of the bases.